There’s a belief in videogames that the newest technology is always better than anything we had in the past. This is common enough in our society at large, particularly when it comes to Silicon Valley-mandated innovation for innovation’s sake, but in games it’s a system of thinking that manifests clearly and belligerently in a blind pursuit of the highest possible fidelity at all times—in the bewildering faith, held by mainstream audiences and creators alike, that a medium’s accomplishments can be directly correlated to polygon counts and pixel density. Ico is a very good game. It is pretty, it is fun, it has a great (and understated) story and is a true artistic statement — a well realized vision that incorporates its theme in a holistic way, from its aesthetic straight on down to its mechanical structure. It’s also old (almost 11 years old! A junior high student by now!) and was very difficult to find copies of until this fall when a remastered collection of Ico and its spiritual sucessor, Shadow of the Colossus were re-released as a single, lovely PS3 disc. I’ve just finished playing through Ico again thanks to this collection and was surprised to find that the experience held up as well as it did. Nostalgia has a way of colouring things, after all, and more than a decade of time has passed between playthroughs. Like any good art, Ico also revealed far more of itself on a second time through than it did at first and the message it evokes struck home far more differently to my 25 year-old self than the 15 year-old version of me. 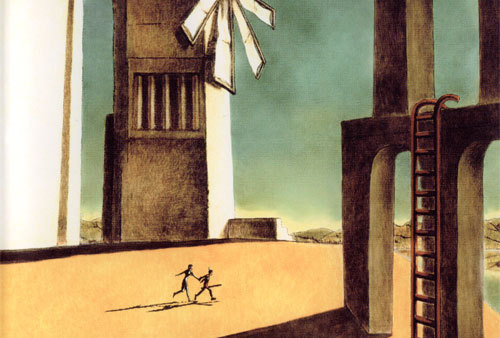 Simply enough, going into Ico knowing what to expect (and having my reading coloured, no doubt, by emotional maturation) transformed the game from a lovably surrealist fairy-tale to a strangely impactful exploration of love.